Each Mailsafe Mailbox includes an engraved number strip. 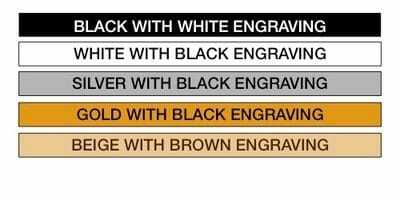 Five colour options are available as shown. 12 font options are available and these are shown below. Gold number strips attract a small surcharge. 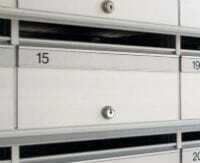 Download more information about mailbox number strips and available engraving fonts. Click here to view the Mailsafe Photo Gallery.